U.S. President Donald Trump took to Twitter on Sunday to confirm reports that he and Chinese President Xi Jinping will hold a summit at Mar-a-Lago following successful trade talks between U.S. and Chinese officials. 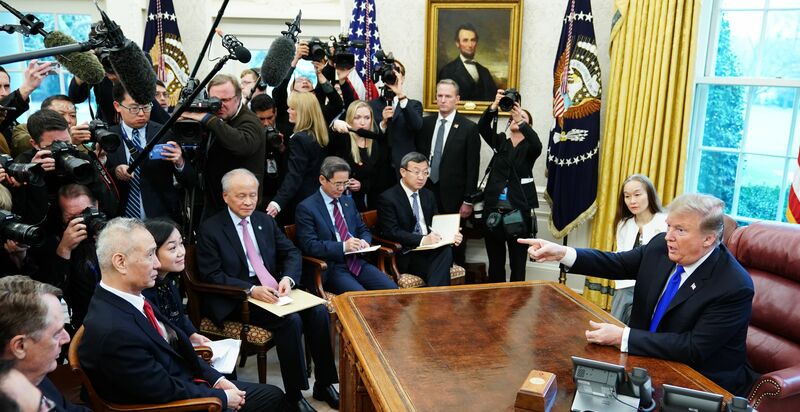 U.S. tariffs on $200 billion in Chinese imports were set to rise from 10 percent to 25 percent if the two sides could not come to an agreement by March 2, reported CNBC. CNBC also reported China committed to buying up to $1.2 trillion in U.S. goods. Trump’s announcement comes after talks between Chinese and U.S. representatives on Tuesday and Thursday plus a Friday meeting between Trump and China’s top trade negotiator Liu He, reported Voice of America News. The Trump administration’s negotiations are led by U.S. Trade Representative Robert Lighthizer, who is “a vocal advocate of pressing China to end practices that the U.S. says include intellectual property violations,” reported CNBC. Trump’s trade war had caused China’s manufacturing industry to contract in December 2018. Trump’s summit with Xi will come after another important meeting on Trump’s schedule. Trump is set to meet with North Korean dictator Kim Jong Un for a two-day summit in Vietnam to discuss denuclearization Feb. 27 and 28, reported Politico.